While you may already be getting ready for the Christmas season, we all know the fun *really* starts when you flip the calendar to December 1st. 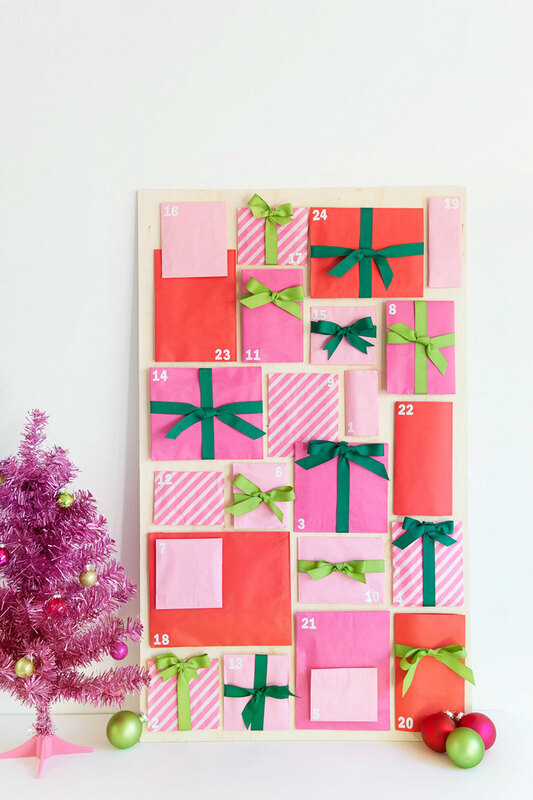 And what more fun way to enjoy the 25 days of Christmas than with an Advent calendar, where you get a new surprise every day? DIY your own with this tutorial, then fill your spaces with tiny gifts like candy, lip gloss, a cute pin, etc. Best. December. Ever. 1. Fill each bag and wrap in different shapes and sizes. Tape closed with the washi tape. 2. Wrap some (or all) of the packages with pretty ribbon. Number each bag from 1-24. 3. Arrange how you'd like them on your board (it doesn't have to be in order), then tape down. What would you put in your Advent calendar? Tell us below!